The World Happiness Report has just been released by the Sustainable Development Solutions Network for the United Nations today, March 20, a date the United Nations has declared to be International Day of Happiness. Two Nigerians Ayo Dada and Olamide Oladeji were among the 69 scholars that won the prestigious Knight-Hennessy scholarship at Stanford University. The Knight-Hennessy scholarship is poised to develop both the depth and range of subject expertise to confront the numerous grand challenges and opportunities of the future. 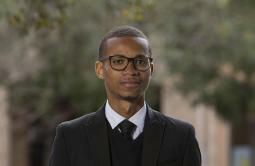 Knight-Hennessy Scholars receive full funding to pursue graduate study at Stanford. They both join Solomon Oyakhire, an alumnus of the University of Lagos, who was the only Nigerian recipient of the scholarship in the first edition in 2018 and is currently pursuing a Ph.D. in chemical engineering at Stanford School of Engineering. 69 students who won the scholarship from around the world for The second cohort of scholars in the Knight-Hennessy Scholars program was announced on Tuesday, March 5, 2019. The Knight Hennessy scholarship received over 4,000 applications this year. The 69 scholars cut across 20 countries across in the world and will pursue degrees in 37 programs at Stanford University. The primary selection criteria used to evaluate applicants were independence of thought, purposeful leadership, and a civic mindset. Ayo Dada is not a name foreign to many Nigerians. He became a sensation in Nigeria and on social media when he became the first person to graduate with a perfect 5.0 CGPA from the University of Lagos. He was honored by the House of Representatives for his outstanding academic achievements. Ayo Dada aspires to find solutions to the problems of ethnic and gender prejudice and academic underachievement that are plaguing Nigeria. 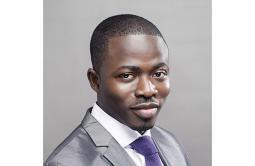 He interned in security services at the Central Bank of Nigeria, and in business operations at Procter and Gamble. He was named one of Ten Outstanding Young Persons of Nigeria. Ayo Dada would be pursuing a Ph.D. in psychology at Stanford School of Humanities and Sciences. Olamide Oladeji is pursuing a Ph.D. in management science and engineering at Stanford School of Engineering. He graduated from the University of Ibadan with a bachelor’s degree in electrical and electronic engineering, and from the Massachusetts Institute of Technology (MIT) with dual master’s degrees in electrical engineering & computer science and in technology & policy. Olamide aspires to contribute to industrial efforts in the innovation and regulation of sustainable energy systems, and to serve in Nigeria’s public sector. As a research assistant at the MIT Energy Initiative, he helped develop a computational model to inform electrification planning for increased electricity access in developing countries. At the University of Ibadan, Olamide was selected as the university’s Google Student Ambassador, and was editor-in-chief of the Bello press organization. He has worked with various organizations across India, Spain, and the United States at the nexus of engineering, data science, and energy economics, and has completed community development and engineering projects in Nigeria. He was also an MIT Tata Fellow. A Nigerian citizen who had been living in Canada was on Monday, March 4, sentenced by U.S. federal court to 10 years in prison for obstructing justice in a multi-million dollar fraud case. Michael Adefemi Adeyemo, also known as Adekunle Olufeni Adetiloye, was previously sentenced in 2012 in North Dakota to serve 17 years and six months for a multi-million dollar credit card fraud scheme involving more than 20 banks in the U.S., according to a Justice Department news release. At the time, it was the largest credit card fraud suffered by US Bank and the Discover Card Bank in their histories. Years after the 2012 sentencing, authorities discovered Adeyemo, 47, took steps to conceal his prior residency in the U.S. as a legal permanent resident, that he was a licensed attorney in Nigeria and that he was a fugitive with an outstanding warrant in California from 2001 for another fraud scheme. A jury found him guilty of concealing this evidence from authorities to reduce his 2012 sentence. Nigeria’s attempts at stemming the tides of official corruption for years now have been hampered by the inability of the various government agencies set up for this purpose, to work collectively and in unison, the British Council, which is an agency of the government of the United Kingdom (UK), has said. According to the British Council, anti-corruption agencies of Nigeria such as the Economic and Financial Crimes Commission (EFCC); Code of Conduct Bureau (CCB); Independent Corrupt Practices and Other Related Offences Commission (ICPC) and the Nigeria Financial Intelligence Unit (NFIU) which recently got independence from the EFCC, have continued to work in silos, thus frustrating the fight against corruption. The Programme Manager of the Rule of Law and Anti-corruption (RoLAC) Programme of the British Council, Mr. Uche Emmanuel, stated this at a workshop organised for anti-corruption agencies and law enforcement officers by the Nigeria Extractive Industries Transparency Initiative (NEITI); European Union (EU) and the British Council, yesterday in Abuja. The disclosure equally came at a time the Nigerian National Petroleum Corporation (NNPC), stated that it had recovered assets worth over N771 million from some oil marketers who had under-paid it for petroleum products supplied to them from Petroleum Products Marketing Company (PPMC) Kaduna Depot. Speaking at the workshop which was initiated to educate anti-corruption and law enforcement agencies on the need to push further NEITI’s mandate in Nigeria’s extractive sectors, Emmanuel noted that most often the anti-corruption agencies take up isolated and high profile corruption cases without recourse to each other for cooperation. “The challenge is that most of us continue to work in silos. Most of the agencies that have been instituted to fight corruption, not just work in silos but many of them are working at what I call the micro level. “They are so fixated on their primary mandate, and I said this to them at the EFCC in-house retreat they had last week, that they are so fixated on their primary mandate and forget the big picture,” said Emmanuel in his assessment of the country’s anti-corruption fight. Also speaking at the meeting, the Executive Secretary of the NEITI, Mr. Waziri Adio, stated that NEITI’s work of identifying revenue leakages in the extractive sector have yielded minimal results as regards stemming the tides because these law enforcement and anti-corruption agencies do not take interest in its periodic reports. Adio explained that the agencies could for instance take up NEITI’s recent report on monies Nigeria has not been able to gain from its failure to review a 1993 production sharing contract (PSC) regulation despite existing clauses that guarantee such review. Adio said: “We need to come to the table with knowledge. Our job in NEITI is to produce reports and we have done that and put in the public domain. Where our work stops is where the works of others start, but does that happen all the time? Not necessarily. Meanwhile, the NNPC said in a statement sent by its Group General Manager, Public Affairs, Mr. Ndu Ughamadu, that the recovered assets from dubious oil marketers, was done with supports from the Department of State Security Services (DSS); EFCC; and ICPC. It said its anti-corruption committee, led by Mr. Mike Balami, brought in forensic experts to uncover the shady deals by some of the marketers affected. The statement quoted Balami to have stated that some of the assets recovered included filling stations; water factories and six sports utility vehicles. Balami added that the forensic investigation would be extended to other petroleum products depots across the country. According to him, it was established that the affected marketers lifted petroleum products from the PPMC Kaduna depot without evidence of payment and when confronted with the evidence they admitted to the offence and failed to pay their liabilities. He equally explained that NNPC Group Managing Director, Dr. Maikanti Baru, was passionate about stopping all the leakages in the corporation, stressing that the forfeited assets would be handed over to NNPC Corporate Asset Boarding and Disposal Committee (CABDC) for immediate disposal. Balami noted that investigations into lifting of petroleum products without evidence of payment would continue. He thus urged all relevant stakeholders to support the anti-corruption committee to recover such monies outside NNPC’s system. He claimed this was the first time the NNPC would be taking over assets forfeited by marketers who defaulted in their terms of engagement. Justice of the Lagos state Special Offences Court in Ikeja, Oluwatoyin Taiwo has discharged and acquitted a former employee of the wife of the former governor of Cross River State, Onari Duke, Ebele Mbanugo, who was accused by Mrs Duke of stealing $110,267.57 from her non-governmental organisation. According to Punch, Mbanugo who is the former Vice-Principal of the American International School, Lagos, was accused of defrauding Mrs Duke’s NGO, the Child Survival and Development Organisation of Nigeria, of the fund between September 2009 and October 2011. K. O. Sarumi, the Counsel to the former first lady, alleged that Mbanugo misappropriated the money raised for the purpose of purchasing mammogram machines for the detection of breast cancer. The offences, according to Sarumi, contravene sections 265(7) and 278(1) (b) of the Criminal Law of Lagos State, 2011. Mbanugo, however, during her testimony before the court, denied the allegations. In 2009 she revealed that, she had established an NGO called the Run for Cure Africa Breast Cancer Foundation to raise funds to purchase mammogram machines. She got acquainted with Mrs Duke because she taught her daughter at the AISL and had approached the former Cross River first lady to use her influence to help with fundraising for the foundation. Mbanugo added that various Run for Cure Africa fund raising races were held on the premises of the AISL from 2009 to 2011, with dignitaries such as Onari; wife of the former governor of Lagos, Abimbola Fashola; and various consul-generals in attendance. Mbanugo told the court that Onari had received a cheque of N7.4m from the funds raised. She added that three mammogram machines bought were donated to the Calabar Women and Children’s Hospital, Lagos University Teaching Hospital and a branch of the Redeemed Christian Church of God. She, however, noted that a dispute arose between her and Onari over the ownership of the initiative, leading to the criminal suit filed in court against her. On Monday March 4th, while delivering judgment, Justice Taiwo held that the prosecution failed to prove that Mbanugo stole the money. She noted that the criminal suit stemmed from a “serious and disruptive rivalry” between the defendant and Onari on the ownership of the fund raising initiative. “The prosecution failed to prove that the money misappropriated belonged to Mrs Duke. Mrs Duke was not called to testify in this case. The testimony of the defendant showed how three mammogram machines were bought from General Electric for $133,000, which is a sum higher than the sum allegedly misappropriated by the defendant. The prosecution failed to prove the source of the funds or that the defendant fraudulently converted them to her own use. Mbanugo, upon hearing the court’s verdict, burst into tears while thanking God. The U.S. government has congratulated President Muhammadu Buhari on his re-election. Mr Buhari of the All Progressives Congress defeated Atiku Abubakar of the Peoples Democratic Party to win the presidential election. Mr Abubakar and the PDP have, however, alleged fraud and vowed to challenge the result in court. “We note the assessments of international and domestic observer missions affirming the overall credibility of the election, despite localized violence and irregularities. “We also congratulate all the other candidates for their peaceful participation in the electoral process. We call on all Nigerians to ensure successful state elections next week. Buhari, on Wednesday, was declared winner of presidential 2019 election by the Independent National Electoral Commission, INEC, for defeating his close rival Atiku Abubakar of the Peoples Democratic Party, PDP. Prominent and well-meaning Nigerians, as well as African leaders, have since been commending and congratulating Buhari over his victory in the election. Theresa May, reacting to Buhari’s victory congratulated the president on his re-election. May in a terse statement expressed optimism in future UK-Nigeria relationship following Buhari’s victory. The United Kingdom (UK) says Nigerians can have confidence in the outcome of the presidential election that held on Saturday. President Muhammadu Buhari, candidate of the All Progressives Congress (APC), won the election with Atiku Abubakar of the Peoples Democratic Party (PDP) coming second. Harriett Baldwin, UK’s minister of state for Africa, in a statement issued on Wednesday, said the result declared was consistent with the civil society parallel vote tabulation process. “I offer my congratulations to President Buhari on securing a second term as the Nigerian President,” she said in the statement. “The UK is a long-standing friend and partner of Nigeria and the Nigerian people, and a stable and prosperous Nigeria benefits Africa and the world. Atiku had rejected the result describing the election as the worst in the history of Nigeria. Following the announcement on Wednesday, he said the election witnessed an implementation of grant theft of the people’s will. Reacting, however, Baldwin urged the opposition to challenge the result in a peaceful manner. “We also recognise that independent Nigerian voices have expressed concerns about the conduct of the electoral process, in particular logistics and results collation, and reports of intimidation of election officials,” she said. “We urge any party or individual who wishes to challenge the process to do so peacefully and through the appropriate legal channel and we encourage Nigerian authorities to examine all allegations of wrongdoing carefully, and take the necessary action against individuals found responsible. A Nigerian, Job Oyebisi, who won the 2018 Idea Change Lives British Council global competition, was yesterday awarded a cash prize of £20,000 for emerging champion. Oyebisi, who runs StanLab, a 3D virtual science laboratory, is also a joint winner of the competition with ‘Malawi’s mHub’. He won the championship that featured over 170 countries by creating a viable solution that would enhance secondary school students get acquitted with new learning skills in laboratory technology.